If you regularly write prescriptions for controlled substances, you may find value in upgrading your technology to comply with the federal and state regulations. If you are not yet e-prescribing controlled substances (EPCS), you can still use official Schedule II prescription forms in Texas. But be aware, on Sept. 1, 2018, the official forms began including additional security features to prevent fraud. Effective June 1, 2019, ALL official prescription forms ordered prior to Sept. 1, 2018, will no longer be valid. Order prescription forms early to avoid running out. Due to the volume of orders, fulfillment for orders for new Schedule II prescription pads can exceed 8 weeks for delivery by the Texas State Board of Pharmacy. If you anticipate running out of prescription forms, check with your electronic health record (EHR) vendor to see if it can set you up with EPCS. Sometimes the EPCS functionality can be set up within a day (depending on the vendor). 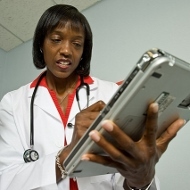 If you don't have an EHR vendor, search for standalone e-prescribing software. The vendor can assist you with EPCS setup. Bypassing the Middle Man: Should Texas Allow Physician Dispensing? Beginning Sept. 1, 2019, all prescribers will be required to set up an account with the Texas PMP, known as PMP Aware. An account allows physicians to check a patient’s prescription history for information that indicates illicit activity, drug abuse, drug diversion, or doctor shopping. Did You Receive an Email Requiring Registration to the State’s PMP? An informed consent and opioid treatment agreement is a contract between a doctor and a patient. The goal of the agreement is to ensure that patients who are taking opioid drugs do so exactly as their doctor has prescribed. This sample agreement can be used as a template for your practice. Once it is signed, be sure to incorporate it into the patient’s record in the EHR. Thank you to the Texas Pain Society for allowing TMA to link to the sample agreement. This website includes details on approaches to preventing opioid misuse and addiction, proper pain management, safe storage of prescription painkillers, and guidelines on responding to an opioid overdose. It also features a statewide take back map of locations that accept prescription opioids for safe disposal. TMA members are now eligible to receive 15 percent off of tamper-resistant prescription pads and forms from Rx Security. Pads can be used for schedule III, IV, and V controlled substances as well as non-controlled substances. Remember, orders for schedule II prescription forms must go through the Texas State Board of Pharmacy. This TMA webpage is dedicated to providing resources and education designed to improve the safe and effective use of technology for better health outcomes. Got E-Prescribing questions? Contact the HIT Helpline.